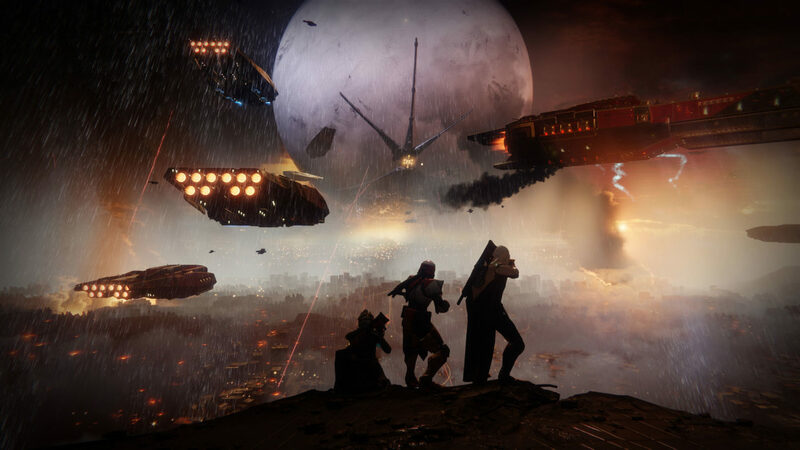 Destiny 2 Clan Features Won't Be Available Until "Several Days After Launch"
In-game Destiny 2 Clan Features will be unavailable for the first several days after launch. Stay tuned for announcements of availability. Sad news for groups of gamers looking to start earning clan bonuses right away. Here’s hoping it’s implemented quickly, as players won’t be happy missing out on bonus engrams, and other goodies. If you join a clan, you’ll finally have something to put in that final gear slot. Assist your clan to unlock special Clan Banner Perks for your Guardian. If your clan members complete a specified endgame activity (such as a Nightfall Strike), every member of the clank receives an engram. Just head to Hawthorne and claim your not-so-hard-earned reward. Not ready to tackle endgame content? You don’t need to be the best to be an asset. Experience earned by every member goes toward unlocking new Clan Banner Perks, and every member receives a new Milestone encouraging them to do so. Lead interested Guardians through endgame content. Success will boost your Clan’s Oathkeeper’s Score. Will you be using the Destiny 2 clan features?